These socks are designed for healthy comfort providing increased circulation and lasting durability through an amazing loose-knit, cross-stretching, non binding top. 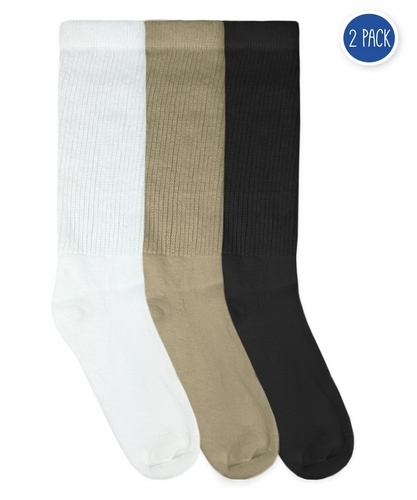 Our non binding top construction infused with just enough spandex give these socks great fit and stay up power with minimal compression; therefore promoting better circulation with these mid calf socks. These socks are made in the USA.